nucleus of the thalamus that forms a sheet-like structure and makes up the outer covering of the thalamus. 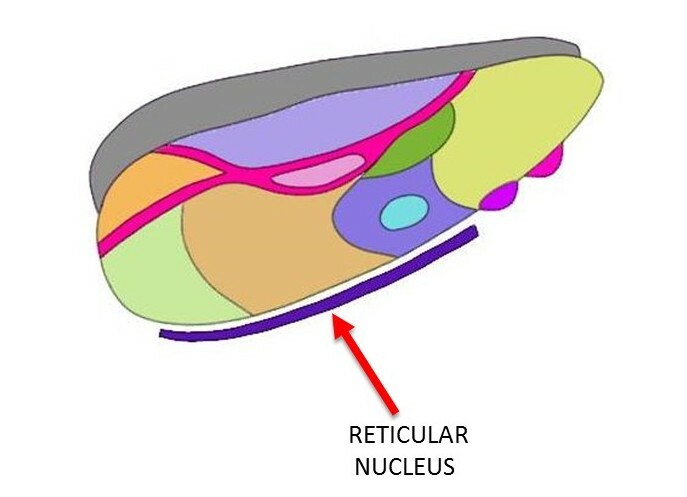 The reticular nucleus is the only thalamic nucleus that does not project to the cerebral cortex. Instead it primarily modulates the activity of other thalamic nuclei.